In Volume 6: A Nation Divided [Kings and Chronicles], learn about 4 books and 39 kings! Israel was a mess after King Solomon died, and the kingdom was split into 2 parts. Evil kings and queens threatened to wipe out God’s people forever, but God sent prophets like Elijah and Isaiah to remind the Israelites of God’s great promises to them. Volume 6 contains 4 weeks. 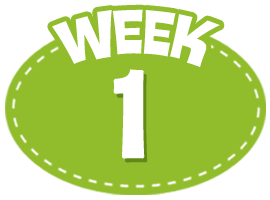 Week 1: The children will review the stories of King Saul, King David, and King Solomon and learn the Bible story about King Jeroboam. 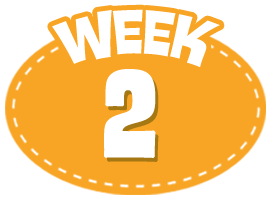 Week 2: The children will learn the stories of Elijah and Elisha found in 1 and 2 Kings. 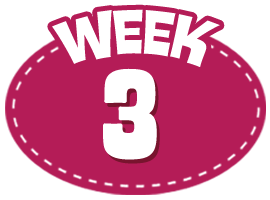 Week 3: The children will learn the stories of the kings found in 2 Kings and discover that kings were both good and bad. 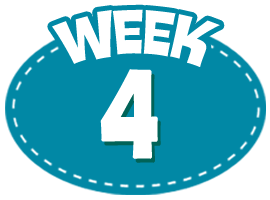 Week 4: The children will learn about the fall of Israel and the hope that Isaiah proclaimed. Video 1 Welcome Custom Welcome Video: Buck Denver wonders what he would do if he were a king. Small Group 1 Relationship Building Each child has the chance to share what he/she would do if he/she were a king or queen. Video 2 Review: Saul, David & Solomon Video of Kings! This video reviews the stories of Israel's first 3 kings - Saul, David and Solomon. Small Group 2 Magnetic Kings This timeline game uses cards and dominoes to build a timeline of the first kings of Israel. Video 3 Learn: 1 & 2 Kings Learn the stories of King Solomon's successors, Rehoboam and Jeroboam. Small Group 3 Bi-Plane Musical Each child makes his/her own harmonica (with craft sticks and rubber bands) and then everyone plays along with Clive & Ian's song! Small Group 4 Bible What's It? Recap! This is a time to review the day's lessons, and reflect and pray before ending class. Video 1 Welcome Custom Welcome Video: Buck Denver wonders what instrument he would play if he were a musician like the Bentley Brothers. Small Group 1 Relationship Building Each child has the chance to share what instrument he/she would play if he/she were a musician. Video 2 Review: The Kings This video reviews the kings of Israel - good and bad! Small Group 2 The Bad Kings In this board game, kids answer questions to move pieces around a game board. Video 3 Learn: Elijah and Elisha Learn the stories of the prophets Elijah and Elisha. Small Group 3 God Rules - Baal Drools In this game, the children build an altar like the one Elijah did as they answer questions about the video. Video 1 Welcome Custom Welcome Video: Clive and Ian share where they want to go in their biplane. Small Group 1 Relationship Building Each child is encouraged to share where he/she would fly if he/she was a pilot! Video 2 Learn: Review of the Kings This video reviews the kings of Israel. Small Group 2 Judah/Israel Active Game! Encouraging kids to do motions as they answer questions about the kings of Israel. Video 3 Learn: The Kings Learn the stories of some of the kings of Judah and Israel. Small Group 3 Vote for the Kings The children use props to vote for kings as "good" or "bad." Video 1 Welcome Custom Welcome Video: Sunday School Lady explains what a prophet was and how they shared their messages. Small Group 1 Relationship Building Pssst! This is a game like telephone and the children share messages by whispering in their neighbors' ear. Video 2 Learn: Overview of 1 & 2 Chronicles This video reviews the stories from 1&2 Chronicles. Small Group 2 Magnetic Books Make a magnet board to put the books of the Bible in order. Video 3 Learn: The Fall of Israel In this video, Israel and Judah fall and become part of the Assyrian and Babylonian Empires - but Isaiah has a message of hope! Small Group 3 From Fall to Hope Children play a Jenga-like game and answer questions about the fall of Israel - can they answer all the questions before the tower falls?